Imagine a manicure service that lasts up to four weeks, does not chip, and dries instantly. It sounds like magic, right? It’s more like a dream come true. Dip powder nails are long-lasting, easy to apply and can be applied to any nail length or shape. This new nail trend is even blowing up on Instagram. You may have seen them on social media lately, but it has actually been a technique since the 1980s. Want to know more about this magical nail service? Keep reading and become a dip powder expert. Dip powder is not technically a new service, but it has been steadily gaining popularity lately due to the ease of application and long-lasting results. The process is simple. First, you have to choose a color. 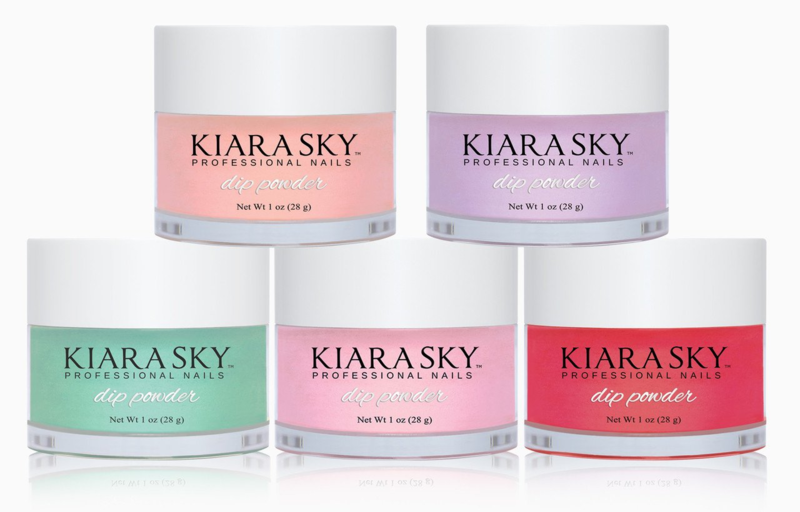 Don’t worry about limited choices: dip powder comes in a variety of different colors, just like regular polish. Next, your nail technician will apply a base coat to your nails. Then your nail technician will apply the colored powder to your nails. The powder will only stick to the base coat. Finally, your nail technician will apply a sealant to preserve the color on your nails. Because the color is applied via powder, there is virtually no drying time. You won’t have to put your hands under any dryers or UV lights. The powder is odor free, non toxic and even cruelty free. The colors can last three to four weeks after application, which is even longer than gel polish. With so many perks, there’s no reason not to try this revolutionary product.